Then Sam’s favorite client is found dead in her home—shortly after telling him someone has betrayed her trust. Sam can’t believe her grief-stricken husband, Nathan, would be a suspect, but the investigation focuses on him. Sam has always admired handsome Nathan from afar, but now he puts his libidinous feelings aside to help clear his name. But the closer he gets to Nathan, the more he’s told to keep away from him and the investigation—by the fatherly police chief, by an officer on the case who’s hated him since school, and by Nathan himself. Sam is determined to expose the real reason his friend died and to clear Nathan’s name—even if it’s the last thing he does. Which, considering how fast the death toll is rising in Stonebridge… it might be. Hmmm … it has been days since I finished reading this book and I still have no idea how I feel about it. It’s not a stellar or memorable read for me but I can’t say that it’s a total failure either. But the book did let me down in a big way and that had me contemplating about the rating. The thing is, I approached this book with my mind set to expect the story being a “murder mystery” book. Especially because the blurb gives the impression that Sam would be dealing a lot with investigating the death of his favorite client, with him being a writer of a blog as well as sometimes at the Gazette as well. Unfortunately, I didn’t feel that the story successfully delivered. I’ve read quite a number of murder mysteries in my younger years. I devoured Agatha Christie books. I like Sir Arthur Conan Doyle’s (though the writing’s not exactly that accessible for me). And of course, when it comes to more recent authors, I love Dennis Lehane, Michael Connelly, and Robert Crais. So having familiarity with these books, I had expectations. One of them being a true progress of INVESTIGATION. True, this story is also marketed as romance, but I was saddened that I didn’t exactly get the scenes of Sam INVESTIGATING the murder. I thought Sam spent too much time either lamenting about the mysterious Nathan or busy drinking. There was nothing that showed me that Sam used his brain or showed passion for being an amateur sleuth to find out what happened. I didn’t get that grit determination from him. I felt that the murder and the deaths of the other characters stayed firmly in the background – which was a bit strange since one of the victims was a police officer. Usually the department would take that kind of death more seriously. In addition, Sam found out who the culprits were by way of ‘accident’! It was disappointing because I guessed about the villains – I had my clues – a few chapters before he did!! Now about the romance … unfortunately, I also found it uninspiring. Nathan was introduced to us, readers, as being married to a woman. Then when his wife was killed, we found out that Nathan had been contemplating his sexuality. However, the set-up to Nathan switching teams was not too my liking … I don’t want to spoil too much but it had something to do with his ‘secret’ job and ‘acting’ for the sake of it. To me, it was flimsy at best. The fact that the story was also written mainly from Sam’s perspective made Nathan a detached character all throughout. I wish I could say that I liked him, but I couldn’t. I just didn’t feel enough connection to him. I also didn’t feel the chemistry needed between Sam and Nathan. None at all. So in the end, those reasons made me decide that it was not enough to be in my ‘okay’ category. It was definitely not what I expected and I felt let down. As always, rating is subjective and your mileage may vary. Others might enjoy this more than I did. 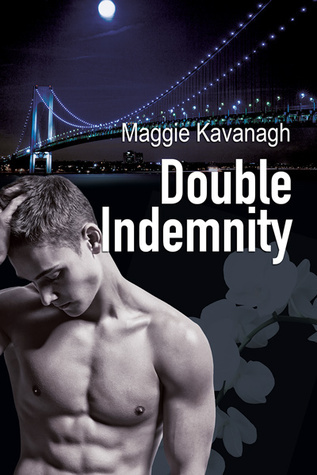 This entry was posted on February 9, 2015 by Ami in Contemporary, Mystery / Suspense, Reviewer: Ami and tagged 2.5 Stars, dreamspinner, Maggie Kavanagh.